The House on the Rock is one of the most unusual museums in America. It’s a must-see just once in your life. Combined with The House will be heritage tours of European Villages in this section of Southern Wisconsin. History, myth and legends surround these communities and make it a fascinating tour destination. Day 1: Travel to the House on the Rock for a three night stay. On arrival, you will enjoy a Welcome Reception while luggage is taken to your rooms. Then dinner will be served at the Inn once everyone has a chance to freshen up. Day2: After breakfast, your group will enjoy a tour of the famous House on the Rock. This museum was the vision of an eclectic named Alex Jordan and is filled with sights and sounds that literally stimulate the senses. Jordan wanted guests to question his creation, to come to their own conclusions and to turn his world of dreams into theirs. Room after room is filled with some of the world’s most unique and unusual items. From the smallest details of an intricately furnished doll house collection to the world’s largest indoor carousel. Each exhibit is filled with the exotic, the majestic and the unexpected. Lunch is at leisure at any of the numerous dining facilities here. This afternoon you tour the European village of Pendarvis. Settlers were lured here by the prospect of plentiful Lead. A commodity that had became scarce, and was reputedly easy to mine. These miners who worked the earth and their families left a lasting imprint on the area. Here you can see their stone cottages, learn of their lives and the legacy they left behind. Next you have time for shopping in Mineral Point. Visitors are often heard to say they felt like they stumbled into a quaint European village. The downtown is brimming with studios and galleries, antique and specialty shops. Then you have a delicious dinner tonight in the unique atmosphere of the Potosi Brewery. There will also be a brewery tour where you will learn of their history and have a chance to visit a wonderful gift shop. Day 3: You day begins with a tour of Little Norway. Here you discover how early Norwegian settlers lived in this beautiful valley. Tour the restored pioneer homestead from the early 1800s, including the Norway Building from the 1893 Chicago Columbian Exposition; it houses an impressive collection of folk objects from both America and Scandinavia. Little Norway is sometimes called ‘Nissedahle’ which means “Valley of the Elves”. In the afternoon you tour the Cave of the Mounds, a National Natural Landmark and a geological wonder, it’s like spending quality time with Mother Nature. You will stroll through the butterfly and flower gardens, then, step into the magical underground world of the Cave of the Mounds. Here, over a million years ago, water formed and dissolved the rock to create amazing crystal statues. Located just minutes from the Cave of the Mound is Mount Horeb, the Troll Capitol of the World! 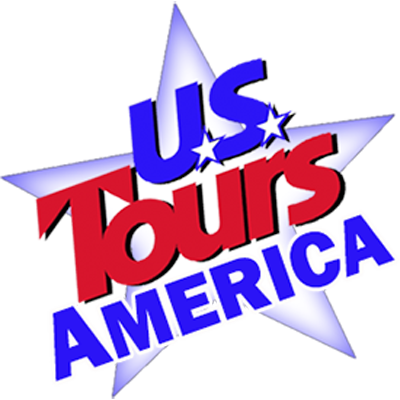 People from all over travel here to see several one-of-a-kind attractions that are sure to peak your interest too. Discover the treasures of the Trollway (Mount Horeb’s Main Street). It is guarded by trolls. There are also many distinctive shops, as well as antique stores housed in the restored buildings and Victorian homes that line Main Street. Dinner tonight is as much fun as your afternoon. You will be dining at the Grumpy Troll. Located in the historic Mount Horeb Creamery building. Day 4: Lastly, no visit to Wisconsin would be complete without a tour of the Cedar Grove Cheese Factory. You will see premium cheese being made the old fashioned way and have a chance to visit the gift shop before starting home.